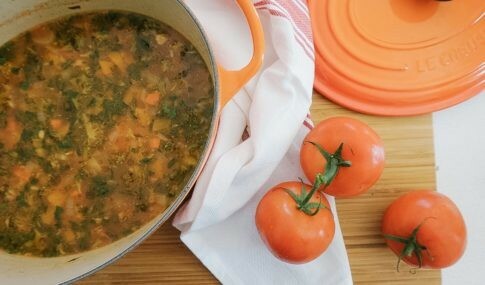 We changed things up this week and thought we’d share a different kind of recipe! 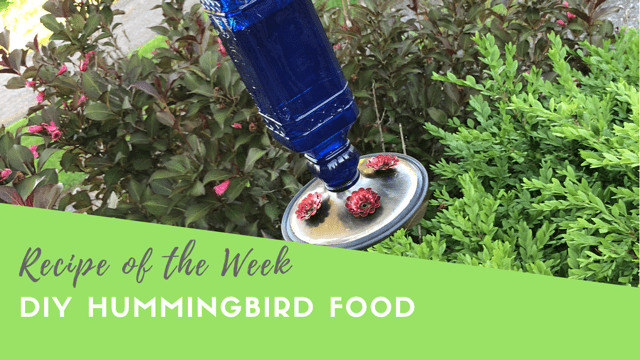 I was making a batch of hummingbird food and wanted to show you how easy it was. Just two ingredients – sugar and water! We love watching the hummingbirds come to our feeders all summer… they are such amazing birds! 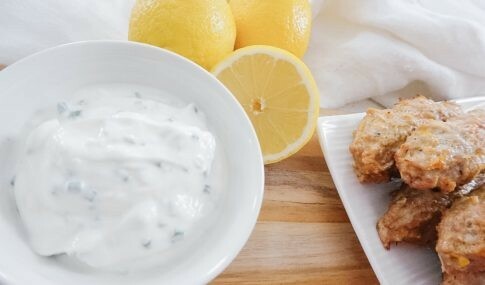 We hope this recipe inspires you to whip up a batch and have some friendly visitors in your garden this summer! Mix sugar and water in a saucepan and put on the stove over medium-high heat. Heat up the mixture and stir to help the sugar dissolve. Once the mixture hits a soft boil, the sugar will be dissolved and you can remove the saucepan from the heat. Allow your mixture to cool. Once cool, fill up your hummingbird feeders and hang outside. Store any remaining hummingbird food in the fridge for up to one week. *Note: you can adjust the amount of hummingbird food you make, as the ratio is one part sugar to four parts water.